You can create command shortcut to launch a Google search for the highlighted word or phrase in your preferred browser. In the Editor Pane, select the word or phrase to search for. Select Tools > Run Command to open the Run Command dialog box. Configure the dialog box as shown in the screenshot. The “%(browser)” interpolation shortcut loads the browser configured in Komodo’s preferences; the “%W” shortcut interpolates the word under the cursor in the editor pane. 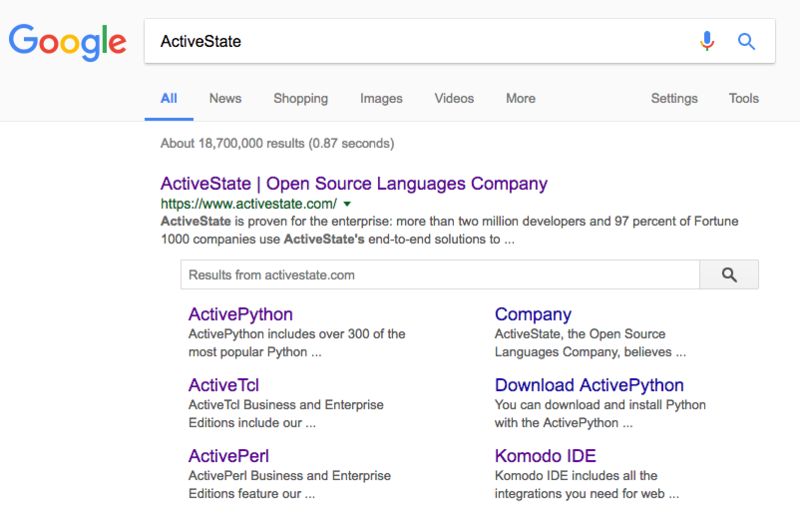 When you click Run, the Google search results for the term are displayed in the browser. The run command is stored in the Toolbox for re-use. By default it is name uses the command syntax. You can right-click the name in the toolbox and rename it.